Gathering people together. Inspiring them with a vision of what could be. 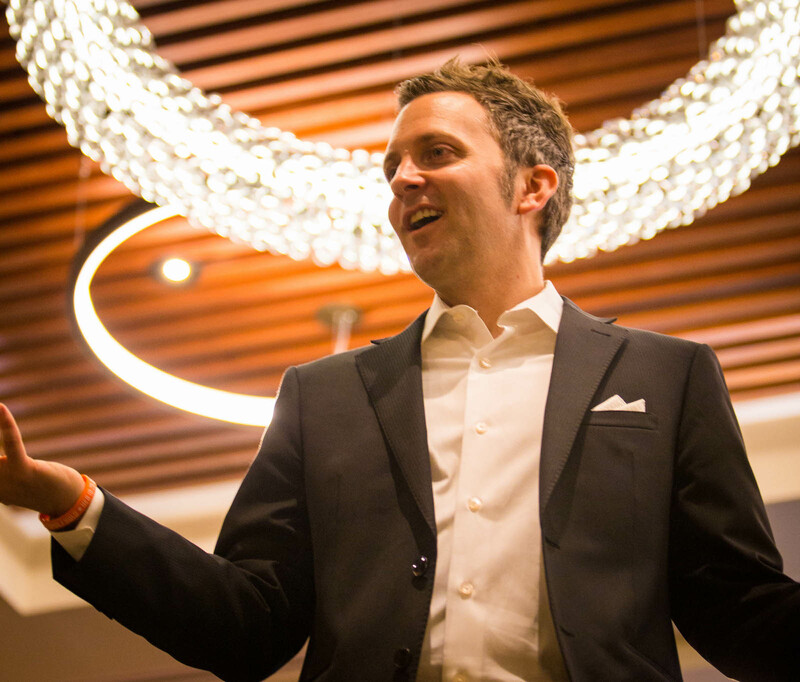 As a speaker, trainer, and communicator, Jon Barnes brings a unique, personable, and unforgettable style to small and large groups alike, blending humor, wit, and wisdom together to help awaken and shape attendees' dreams. Whether through his car-focused YouTube channel, marketing and communications training, or inspirational group workshops or book, Jon Barnes is on a mission to help others find the "creative thread" in their own story. Creative Threads: Discover Your Calling. "You don't have to have it all figured out. You don't have to develop a life plan and have it printed on a 3-foot high parchment scroll (or neck tattoo). And you most certainly don't have to know beyond a shadow of a doubt whether or not you want to fast track to some graduate program. You know how I know this? Because no one really knows. And those that think they do, no matter how confident, often take some of the wildest professional and educational roadtrips you can imagine and end up doing things they never even considered." Book Jon to speak at your next event, conference, leadership or student event. Insights. Ideas. Trusted counsel for situations that demand expertise. Partnership + encouragement. Bringing the toolbox of motivation to your future. Jon is one of the most dynamic and engaging speakers we have ever had at our conferences. His presentations are both entertaining and insightful. He is a true expert on social video, and also a natural public speaker. He is always incredibly prepared, and takes the time to understand the event ahead of time and tailor his talk appropriately. Jon has the ability to take a client’s vision and bring it to life. He is gifted in a creative sense as how to evaluate exactly what is needed in a campaign and then execute it. President, Crowned One Worldwide Inc.
Jon is highly effective with great ideas who gets things done. Jon Barnes understands that true leadership is about inspiration and authenticity. With Jon you get both of these key attributes in a way that makes you want to grow to be a better leader and serve others. His insights, perspectives and infectious enthusiasm will help anyone desiring to improve their leadership abilities. Jon gives us an innovative look into the adventure and the process of tying the common threads of our story together to create our own success. While following his own story you will be empowered to view everything as a learning experience even when you are not sure exactly where your future is headed. As a Career Coach, Jon Barnes, has the rare ability of transforming his life journey into timeless insights that speak directly to the experiences faced by many young people in their 20’s. As someone in this age group, I have tremendously benefited and learned a lot from conversations with Jon about career direction, strategy for entrepreneurship, and clarifying my life’s call. Jon Barnes is an energetic, entertaining and motivational speaker who connects with his audiences in very personal ways. I have heard him speak on a range of topics and have always learned a lot while invariably having a very enjoyable experience. Creative Inspiration delivered to an inbox near you. Sign up and receive an occasional email. Maybe when you need it most. The Jon Barnes Companies © 2017. All rights reserved.